WIN A R1 000 M&M’s HAMPER! WIN 1 OF 2 R1 000 M&M’S HAMPER! M&M’s – The World’s Most Shareable Snack – is about to make your foodie dreams come true. 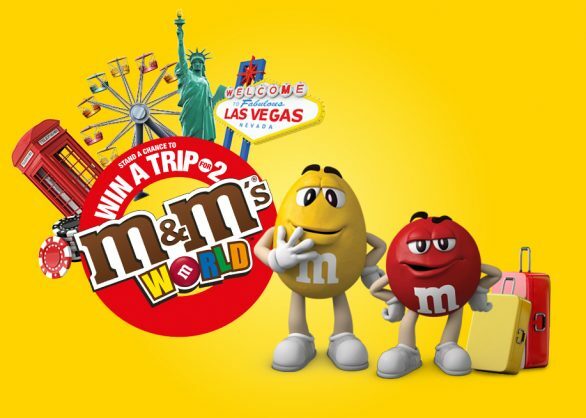 From the 28th May to 31st August 2018, you stand a chance to win a trip for two to M&M’s World in London, Orlando, Las Vegas or New York. Winning a trip for two is the perfect time for sharing foodie moments and M&M’s is proud to offer fans the chance to explore a top food destination with their favourite person. Like the M&M’s Facebook page for more information. T&C’s apply. As a sweet treat, The Citizen have partnered with M&M’s to run a competition where you can stand a chance to win 1 of 2 cool hampers worth R1 000 each. The competition closes on Friday, 27 July 2018 at midnight.